Ahram Online presents a list of 10 new releases to look out for at Cairo International Book Fair 2017, kicking off tomorrow 26 January and running through 10 February at Nasr City Fairgrounds. 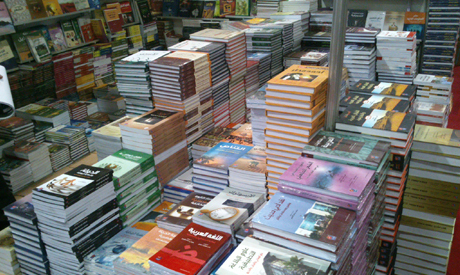 1 – Al-Sira Fil Manfa (The Biography in Exile), Bahaa Taher, (Cairo: Dar Bardeya), 2017. Finally, Egypt's renowned writer and novelist Bahaa Taher has released his autobiography, in which he takes his readers into his daily routine, his memories and personal writing journey. The book gives new insight on Taher's life, even inviting readers to his living room to reveal what he reads and moreover, how he reads. 2 – Kol Haza Al-Horra (All This Crap), Ezzedine Choukry Fishere, (Cairo: DarAl-Karama), 2017. Novelist Ezzedine Choukry Fishere, releases his first novel since 2012's Exit Door. The new story's protagonist is Amal, who wakes up in bed next to Omar — a man she doesn't know — and in the last hours before she leaves Cairo discovers an Egypt hidden behind a mix of hope and desperation. 3 – Al-Iktisad Al-Masry fil Qarn Al Eshreen (The Egyptian Economy in the 20th Century), multiple authors (Cairo: Al-Maraya), 2017. In this book a group of Egyptian economists and specialists explore the evolution of the Egyptian economy in the last century. The book is edited by Wael Gama, Chief Editor of Mada Masr and co-translator of Thomas Piketty's book Capital. The authors include Salma Hussein, Amr Adly, Mohamed Gad, Dina Makram Ebid, Mohamed Sultan, Ashraf Hussein, Mohamed Mosallam, and Heba Khalil. 4 – Tawil Al-Fan Wal Den (Interpreting Art and Religion), Said Tewfik, (Cairo: Al-Dar Al-Masriah Al-Lubnaniah), 2017. This book challenges the common perception that art and religion occupy separate worlds in the human consciousness. Tewfik, a philosophy professor at Cairo University reveals the links between the two, diving deep into a philosophical, hermeneutical and historical understanding of that relationship. 5 — Al-Ontha Allati Anqazatny (The Lady who Saved Me), Ghada Salah Gad, (Cairo: Dar El Shorouk), 2017. In this book, Dr. Ghada Salah Gad, director of the women's health department at the Breast Cancer Foundation of Egypt, shares with readers her fight with breast cancer and the long journey to treat it. The last chapter of the book is devoted to how Gad rediscovered herself, her abilities, and a well of courage inside herself. The Sawiris award-winning novelist, Ahmed El-Fakharany, releases his new novel The Life of Sayed El-Basha. The story's protagonist is an unemployed man who discovers a secret behind an online game, finding that the café he wastes his life in is actually part of a network of cafes connected to a secret world. 7 – Tiran and Sanafir: A Historical Document Study, by: Sabry El-Adl, (Cairo: Dar Merit), 2017. Historian Sabry El-Adl examines the history of the two Egyptian Red Sea Islands, Tiran and Sanafir, which the Egyptian government agreed to place under Saudi Arabian sovereignty in April 2016—a decision later rejected by Egypt's High Administrative Court. The documents cover the period from 1840 to 1990. 8 - Egypt from Alexander to the Copts, Edited by: Roger S. Bagnall and Dominic W. Rathbone, (Cairo: American University Press), 2017. This forthcoming book from AUC press offers a guide to the Ptolemaic, Roman, and Byzantine eras in Egypt. 9- Fi Yameen Al-Mawla (Extremism in the Eyes of Psychoanalysis), by: Gerard Haddad, (Beirut: Dar Al Jadeed), 2017. Tunisian-French author Gerard Haddad, who studied psychoanalysis under French psychoanalyst Jacques Lacan, offers his account on extremism, in a book released by prestigious Lebanese publishing house Dar Al-Jadeed. 10 – Mamlakat Al-Mooda (The Empire of Fashion), by: Gilles Lipovetsky, Trans: Dina Mandour, (Cairo: National Center for Translation), 2017. Egypt's National Center for Translation releases French Philosopher Gilles Lipovetsky's 1987 book The Empire of Fashion, in which he tracks fashion as an empire controlling social life. The author draws on the history of the industry, examining clothes, sexual practices, the discourse on fashion to argue that the modern cult of appearance and superficiality actually serves the common good.